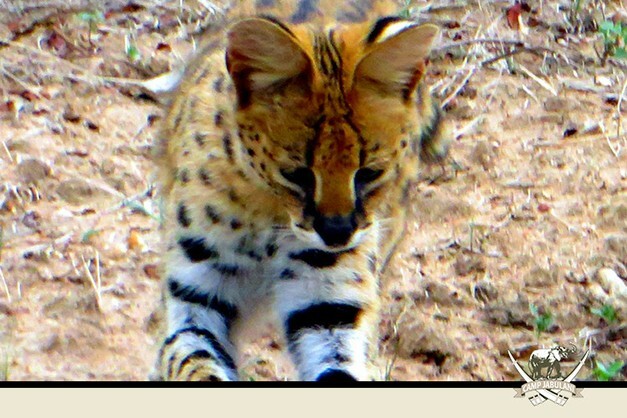 In a previous blog we introduced Schalk and Loula, our resident serval kittens from The Hoedspruit Endangered Species Centre. 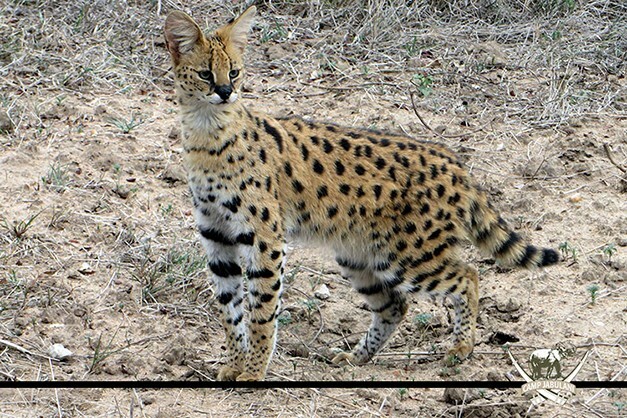 Both cats have adapted to their new environment and are doing really well – as evidenced by the fact that they are spending more and more time in the bush each day. Schalk is usually the first to return back to their enclosure, and although on Loula doesn’t return at all on some days, she still prefers to stay close to camp. The wonderful news is that Schalk has started hunting, and we were lucky enough to witness him devouring one of his first ‘kills’ – a guinea fowl. The guinea fowl is obviously his favourite, as other bird species can literally walk right past him drawing nothing more than a cursory glance. In true fashion, Schalk keeps the prime cuts for himself, sometimes leaving the leftovers for Loula. We are hopeful that Loula will soon follow in her big brother’s footsteps by trying to hunt for herself. Until such time as she does, we will continue to supplement her food to make sure that she stays strong while she is adapting to life in the wild. 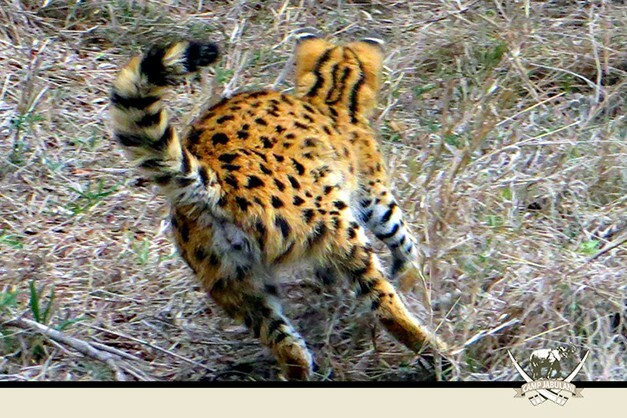 In addition to birds, servals also eat small rodents and reptiles. We watched with great amusement a few days ago as we watched them trying to figure out how to handle a very lively frog! 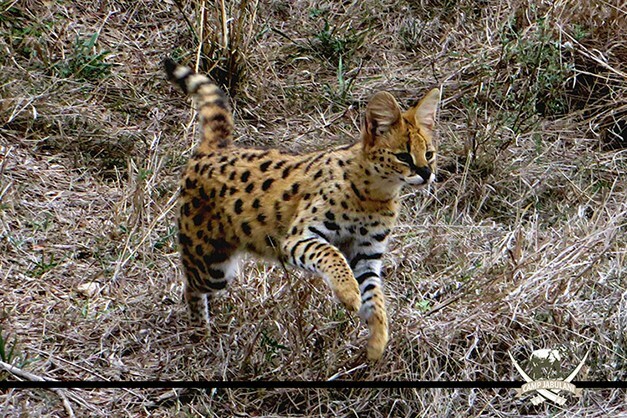 The serval-duo is adept at pouncing, and is also very good at climbing trees. They also seem to enjoy water, and have even been brave enough to plunge into the camp dam. What a joy it is watching as these young animals become more familiar with their natural environment. We will keep you posted as to their progress.